Most people know that today’s cafe blinds, like those installed by the Busselton cafe blinds experts at Outside Concepts, are great for stopping the sun from entering your outdoor area and home. But what’s less-known is that by choosing the correct fabric they can be just as adept at reducing the affect of the wind. Clients in Busselton, Western Australia, recently contacted Outside Concepts’ Busselton Branch to receive a quote and design to install outdoor blinds on their home. It was a tricky and unusual job as the window openings where tall and narrow – 2.8 metres tall and only 713mm wide – and while the dimensions did present a challenge they weren’t an obstacle for our Busselton cafe blinds specialists, Vanessa and Ben O’Callaghan. 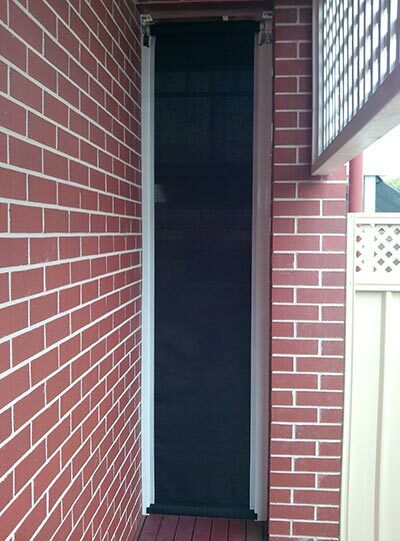 The clients chose a 99% block-out fabric to give them privacy while still allowing them to see out. They also chose gearbox operated Ziptrak blinds, which can withstand harsh winds, are easy to open and close and can even be left partly open. The winds that prevail in Busselton are now not a problem! If you’d like to discuss cafe blinds for your Busselton home and how they can help you tame the sun or wind in your outdoor area or home, give Outside Concepts a call.